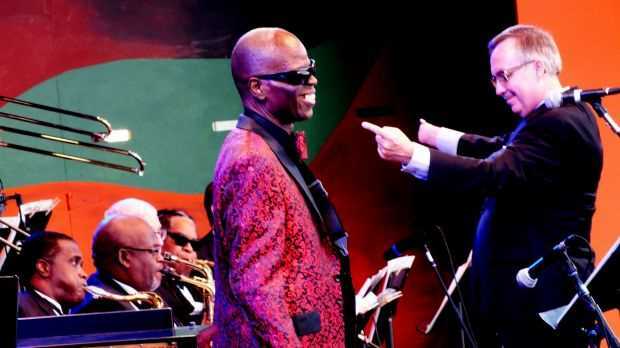 Maceo Parker played saxphone for the Godfather of Soul, James Brown. Now, at age 75, he treasures having his own name on the marquee. 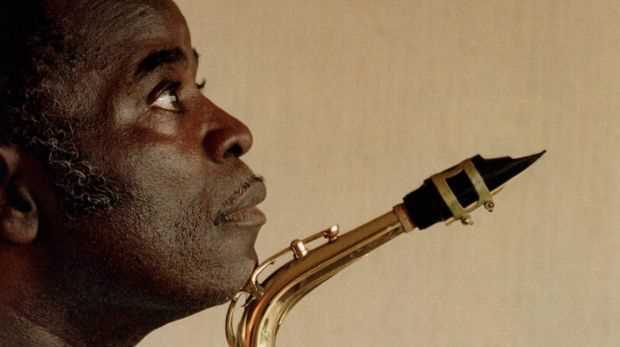 Maceo Parker in 1998: “I chose the right profession”, he says now. "Maceo, I want you to blow!" It was one of James Brown's catchphrases, yelped in live shows and called on recordings when the Godfather of Soul decreed it was time for the saxophone's voice to be heard. As Maceo Parker once said himself, "Maceo" became more like a title or a position in the band than just his name. Later on, when he was asked to play with bands across the spectrum of popular music – from the Dave Matthews Band to Jane's Addiction, while touring with Prince – he felt like he owed that to Brown. "See, the listener was thinking 'golly, he really liked that Maceo guy! '," he says. "A lot of people started liking me because of that. If it's good enough for James Brown, it's good enough for me!" 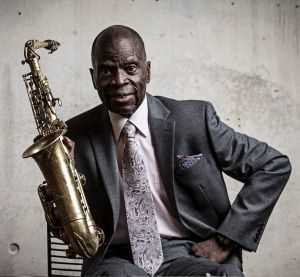 Maceo Parker is now 75, but he's still playing hundreds of soul-jazz gigs a year. Since 1990 he has pursued a solo career with some notable successes – an album called Roots Revisited that sat at the top of the Billboard jazz chart for 10 weeks in 1990, his seminal 1992 funk album Life on Planet Groove, billed as "two per cent jazz, 98 per cent funky stuff", another album called Roots & Grooves that won a Jammie for best jazz album in 2009 – alongside the featured gigs with other bands. Never made any money, he says, but he's doing what he knows he was born to do. Like Roots and Grooves, the show Parker is bringing to the Melbourne International Jazz Festival is a tribute to Ray Charles. Parker has revered Charles, who died in 2004, since he was a child. He remembers the first time he and his brothers put the single of What'd I Say on the turntable as if it were last week. No adults were around. They played it loud. They didn't know it would fade out and then bounce back for a reprise. "We thought it was over, right? And then … wait a minute … man, we went crazy. We wrecked the house listening to Ray Charles, oh my goodness, by being excited we were kind of knocking each other over, we really went bonkers." But there was always some sort of music in the house. Parker grew up in Kinston, a town of 22,000 people in North Carolina. His father had a cleaning business while his mother was a saleswoman in a downtown dress shop, but they both sang in the church choir, which would regularly rehearse around their piano. His uncle was in a swing band called the Blue Notes. "If you're born into a musical family, you just like music, music, music: it doesn't really matter what kind," Parker says. "To me it seemed that music set a tone for the day, for the week, for the month, that was sweet all the time and sort of camouflaged the fact that Mom and Dad had to really struggle to keep food on the table. We didn't know that, because of the music stuff." The Parker boys, who were separated in age by just one year, formed a band with their cousins called the Junior Blue Notes before they were even in their teens. Maceo's elder brother, Kellis, who topped their school and went on to become the first black full-time professor of law at Columbia University, played trombone. Maceo played tenor sax. His younger brother, Melvin, who played drums, would later be the first in the family to catch James Brown's eye. As schoolboys, they would be driven to play at a weekly dance held in a pickle warehouse, the boxes of pickles pushed aside to form a dance floor and stacked to become a makeshift stage. "As the years went on, we found out people were coming from different campuses 50 miles away because they heard of our reputation," says Parker. " 'Man, you gotta see these guys play!' But they were still all white kids. We didn't know; all we knew is the place is packed." It didn't seem strange to them, playing to a sea of white faces. Things had always been that way. Segregation was in full force at the end of the 1950s. Their mother was told by her employer that she would be managing the store if she weren't black: the way Parker tells it, that was a compliment. "You understand what the times are, what you can do and what you should not do," he says. The band agreed never to say more than "hi" to the girls at the whites-only gig. "That's something we told everybody in the group: we've got to be really careful. This place was a good 60 miles from where we lived, down dark roads to get there. Coming back home, there is a policeman sitting there watching us every night, checking us out, looking around to see if we'd invited somebody to ride with us. Every time." There was no taking him out of the South, even so. "My wife Caroline is actually from New York, so we started a family there. But then there was a church right across from where we lived in Brooklyn and when I saw somebody throwing dice up against the church, that was too much for me. I said nah, nah, now it's time to move. Because a church?" So they moved back to Kinston. "Things have changed now with all the integrated stuff and all that, but it's still a little bit slower and the weather isn't so bad." Kellis went to study at the state university, one of five black students; the courts had ruled in 1955 that the university could not refuse them. As high-school president, he helped organise lunch-counter sit-ins. Maceo went to a predominantly black university in a different city to study music; Melvin came the following year and joined another band that played in the local nightclub. It was there that a visiting James Brown heard Melvin play and told him that he could come and work with him when his studies were over. They shook hands on it; Brown told him he always remembered a handshake. The following summer, the James Brown entourage returned to Greensboro. "How to find James Brown?" muses Parker now. What they did was stake out the concert venue, watch out for Brown's limousine, tailgate him into the parking area and waylay him when he got out of the car. It seems unthinkably daring now: James Brown was a huge star and they were just guys in gig bands. "Yeah, yeah. But you gotta keep in mind we been playing since we were eight so we have an idea of what style we're into, stuff like that," says Parker. Brown asked him if he had a baritone saxophone; he lied and said yes. "He could tell from the way I answered that I don't have one, but he likes the way I said yes anyway." He was in. The two Parkers worked with James Brown's bands on and off from 1964 until 1988. Brown was a famously tyrannical bandmaster and just as famously inclined to a fight. One "off" period followed the spill of 1970, when almost the whole band left. Parker, Melvin, and a few others left to establish Maceo and All the King's Men but Parker rejoined Brown in 1973. Parker won't be drawn on whatever tensions may have ruled. "It was really OK," he says finally. "There was a great pride in working with James Brown because he had that 'I'm loud and black and proud', all that stuff, you know what I mean? He took pride in the way we dressed even when you're not on stage, your decorum, the way you act in a hotel, because you are sort of representing him. We kind of had that anyway growing, so it felt great." He was more disoriented when he joined George Clinton's sister bands Parliament and Funkadelic in the mid-'70s, where anyone could wear anything and there were no routines to follow. "The music was good and funky, you know. The height of excitement and all that, as high as you could go. But to see a guy maybe wearing a diaper or one shoe, one tennis shoe and half a shirt and all this! It took a minute to get used to this. But I also treasure, you know, the time that I spent with George Clinton and Bootsy (Collins)." Now he treasures having his own name on the marquee. "Without really thinking of it as some kind of achievement, that I've reached this point where I can have my own thing – but it is sort of an achievement in a sense. 'Oh, Maceo Parker's coming tonight, let's go!' I am still in awe of all the people who come to just check us out, because I basically do the same thing and I'm the same person." But that isn't the point: the point is that the funked-up crowd walks out smiling. "Funky is sort of something that makes you want to dance, puts you in the party mood, clapping your hands. It gives you that. All the positive stuff," he says. Just a couple of weeks ago, he left a theatre to find people who had been waiting outside for him for two hours. "Two hours they had been there! Saying 'we love you Maceo' and kissing me on my face, all that. I'm going 'Jesus Christ, how is it they are still waiting? This is crazy!' But that also says I chose the right profession. 'Oh we love you!' That is what you do. It's all about love."